In May, we stepped into our positions because the school needed leaders. There was little precedent to follow, but we do not shy away from challenges. In June, we made a game plan. Emphasizing collaboration, trust, and transparency, we mapped out a new trajectory for DePaul’s Student Government Association (SGA) and, consequently, the university at large. Fast forward six months, we’ve made some incredible progress and our accomplishments speak for themselves. We created a senator position for first generation students, eliminated harmful plastic straws from the university and added metal alternatives and options for students with disabilities. DePaul SGA is taking a turn — a turn for the better. Often, the student voice goes unheard in the cacophony of higher education conversation. Administrative bureaucracy can get in the way of positive change, but the partnership we have developed through working together is an active agent in reforming how change happens at the university level. When choosing to step into these roles, we knew we would only be successful if we leaned into fortitude and committed completely. A key tenet of our success is follow-through. We have nurtured relationships both internally in our organization and externally with the student body and university administration. We maintain a commitment to transparency by publishing quarterly transparency reports edited by our four Executive Vice Presidents which detail the successes, connections, events, and tireless work of their respective senators. We regularly showcase that our platform was more than a tool to gain an election — we meant every word. From interviews with 14 East, the DePaulia, and Good Day DePaul to consistently rearranging our Google calendars to be available to meet with and hear out students, transparency is key to successfully running DePaul’s Student Government Association. We want to hear the students’ thoughts and discuss solid, actionable solutions. We are solutions-focused people with big goals and the power to see them through to completion. During Fall Quarter our General Body exploded with energy and a desire to advocate for underserved populations here at DePaul. We saw the formation of committees for students with disabilities, sexual wellness on campus, mental health resources, drug policy, Earth Week, diversity training and LGBTQA+ students. 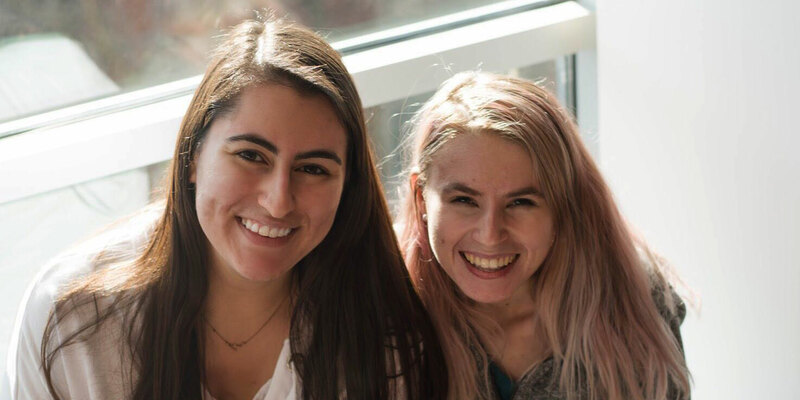 Two of our senators collaborate with local universities such as Loyola and Northwestern to build greater community among those striving for higher education reform. We have representation on the Sexual and Relationship Violence committee, TEDxDePaul speaker selection, commencement speaker selection, Student Organization Speaker Review board, SAF-B, Joint Council, Strategic Resource Allocation Committee, Career Center, Dean reviews and several other groups on campus. In doing so, we maintain an active involvement in the DePaul community and are better able to advocate for our students. 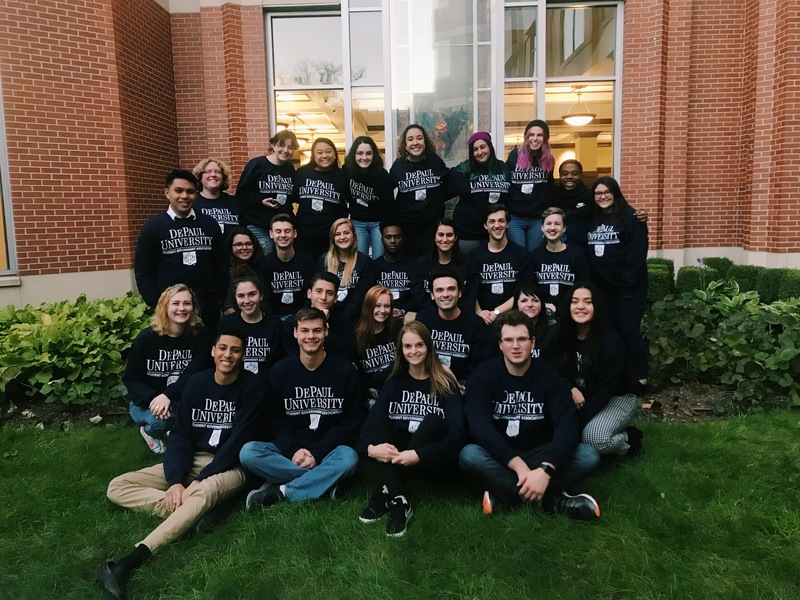 Our election cycle this fall was successful in engaging a multitude of students at DePaul in civic responsibility, resulting in the election and appointment of 11 new organization members in our General Body. We initiated a new presentation opportunity this quarter, Quarterly Senatorial Reports. This first presentation was slated for the final General Body meeting, November 8, and our senators presented their initiatives, ideas, and current status updates. Bouncing these ideas of off each other in such a supportive, connective environment boosted our internal morale and expedited plans across committees to strive for greater excellence and more rapid change to respond to the changing needs of our DePaul community. This kind of internal collaboration is a microcosm of the kind of vital relationships we are actively working to foster here at DePaul. Over the summer, we met with multiple members of senior administration for an introduction, explaining our initiatives and how they tie into the strategic plan. Serving on one of the strategic planning teams last year, we identified retention as a key point to making the DePaul experience a great one. Citing both of our Chicago Quarter Mentor experiences, we stressed the importance of a continuous mentorship program — not just a quarter long one. A sustainable program would help to address students’ needs more holistically and extends our commitment to St. Vincent de Paul’s mission to serve those most in need. We spoke and the administration listened. Beginning this quarter, every first year student is matched with one of 21 Student Success Coaches who will help guide and plan out what success means for these new Blue Demons. As two of those Success Coaches, we are eager to see the difference this program will make here at DePaul. As official representatives of DePaul, we are guided by the Vincentian mission and seek to have at the core of all of our initiatives a commitment to living out a Vincentian legacy. We would like to express thanks to our General Body, listed below, for their immeasurable efforts, support, adaptability, and infectious energy: Justin Fernandez, Jakob Emerson, Katy Bozich, Anna Pierce, Johnny Milas, Gisselle Cervantes, Sophie Modzelewski, Lucy Norton, Hunter Gerard, Sydney Snell, Tyler Frazier, Kaitlyn Pike, Maya Tersigni, Robbie Merkel, Alexis Pottebaum, McKay Murphy, Landon Campbell, Luciana Mendez Gonzalez, AJ Rucker, Claire Kaczanowski, Elena Rangai, Misa Alejandre, Kelsee Avery, Jessica Hooper, Ilya Chupreta, David Mechura and Alyssa Isberto. If students have any questions, comments and/or concerns, please reach out to us at sga@depaul.edu. We would love to hear from you! Header photo courtesy of DePaul SGA.